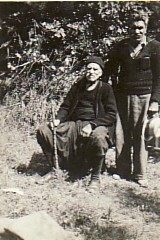 Above: With his older brother, Vasilios. 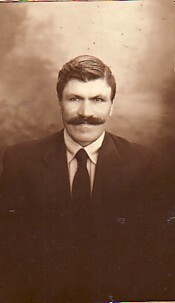 Above Right: Family. 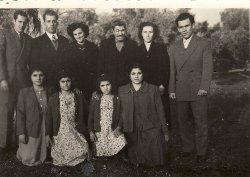 Standing from left are: his son, Efstratios; his nephew and niece, Achilleas and Katina; himself; and his children, Eleni and Nikolaos. Seated from left are his children; Calypso, Evdoxia, Amanthia and Adrianna. 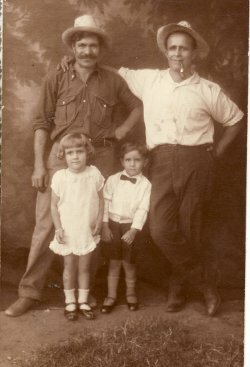 Above: With Georgios Logothetis, and his children Eleni and Konstantinos. 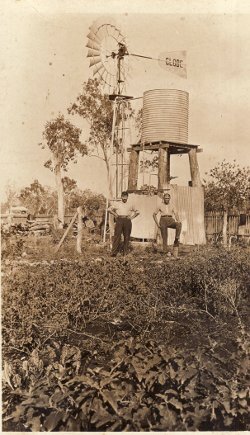 Above Right: On his farm, in Ayr Queensland. Above Right: Paleokipos. 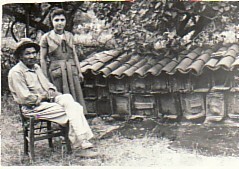 Looking after his bee-hives- with his daughter, Calypso. 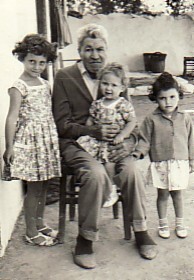 Above: With his grandchildren, Konitsa, Adrianna and Maria.